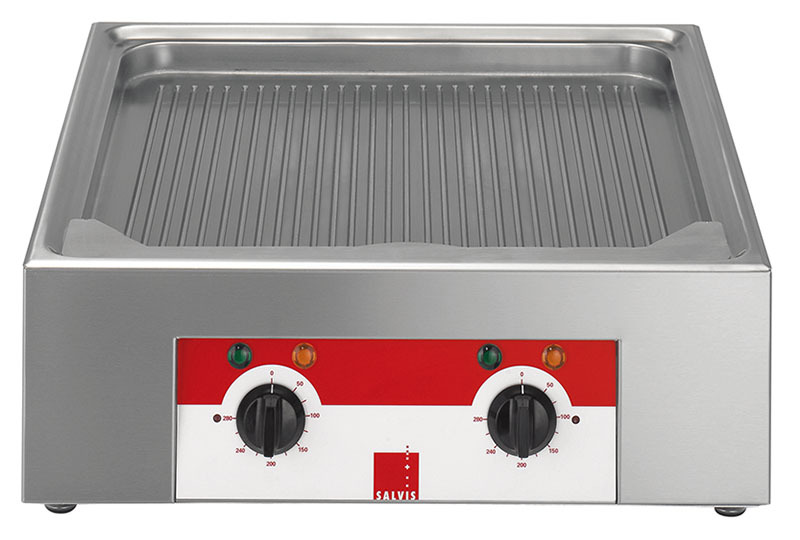 Grooved grill surface made of special steel with one or two heating areas for the typical grill pattern. Seamless transition to the inner case. The grill plate is made deeper by rounded corners for easy cleaning. Continuous heating up to 250 °C for an even temperature distribution. Easy removable embedded fat collection tray in the cold area.